Morning Constitutional: Which Young Buckeyes Have Flashed This Spring? Morning Constitutional: Which Young Buckeyes Have Flashed This Spring Per Ryan Day? Today’s Topic: Which Young Buckeyes Have Flashed This Spring Per Ryan Day? It’s a question as old as time (early on during a football camp) — how are the young guys looking? Everybody wants to know about the young guys because we all think we already know about the older guys. We want new news. We’re not the only ones, however, because coaches love it when there are young guys to talk about, even if they don’t like overdoing it. Ohio State is just five practices into their spring camp — and just three with pads on — so there will be significantly more flashing to come, but that doesn’t stop the question from being asked right now. “On offense, there’s a lot of guys because we’ve lost so many seniors,” Ohio State head coach Ryan Day said on Saturday. 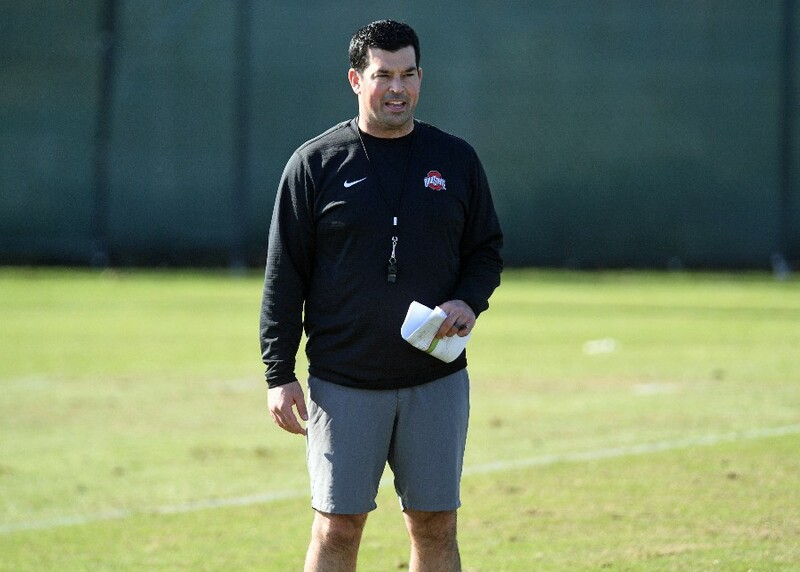 The way Ohio State recruited under Urban Meyer has allowed the Buckeyes to replenish losses with young talent for years now, and that won’t be changing under Ryan Day. On the offensive line, there are three young guys in the mix to start this season. As it pertains to spring ball, so far so good for that trio. On the other side of the ball, the Buckeyes return a buffet of experience and starters, so the reliance on young players won’t be as heavy. With so few spots available for the younger players, the competition to fill those spots is going to be intense. Second-year players Tyreke Smith, Tyler Friday, Taron Vincent, and Tommy Togiai have been fixtures on the defensive line this spring, which is big for the Buckeyes. Ohio State will need that same kind of rejuvenation in the secondary. And according to Day, they’ve been getting it. Noticed all of the D-lineman mentioned first names began with “T”. How about a new nickname for them – the Killer “T”s? The “T” party – meet at the Quarterback! I’ll stop there.